Are you familiar with Trompe-l’oeil? It means “deceive the eye” in French for those linguists out there! It’s a technique that makes a painting or design appear three-dimensional through optical illusion. The technique originated in the Baroque period and it’s still going strong today! 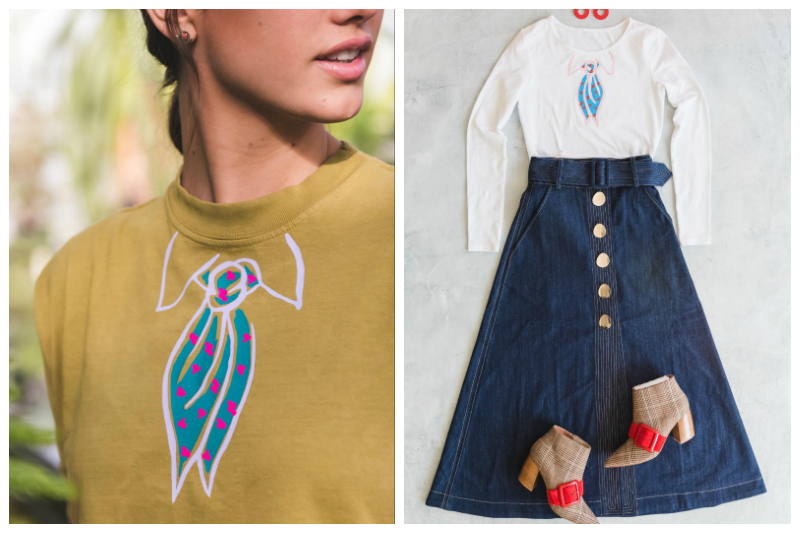 When brainstorming for her second set of T-shirt designs (If you missed our Matisse T-shirt line, make sure you check it out), The House That Lars Built wanted to create whimsical Trompe-l’oeil-inspired designs, and that’s what the ‘Fooled Ya! T-Shirt Collection’ is all about! 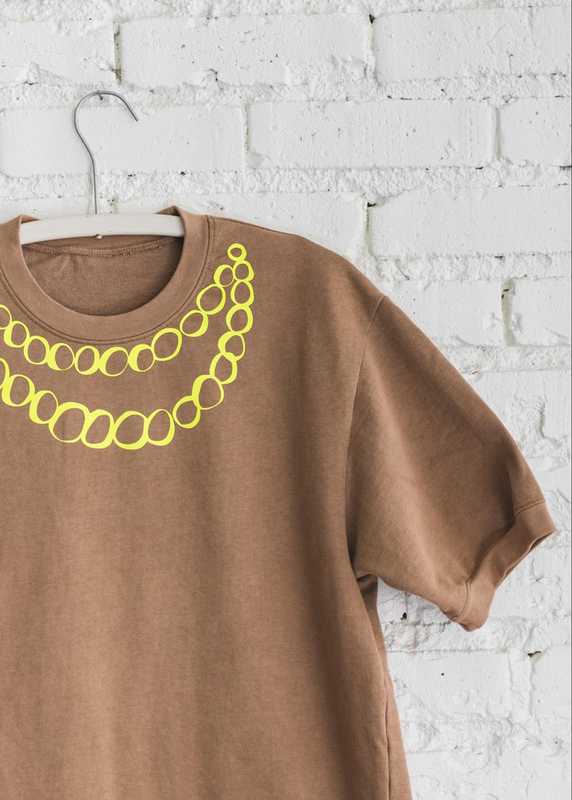 No need to add too many additional accessories because these shirts include them for you. 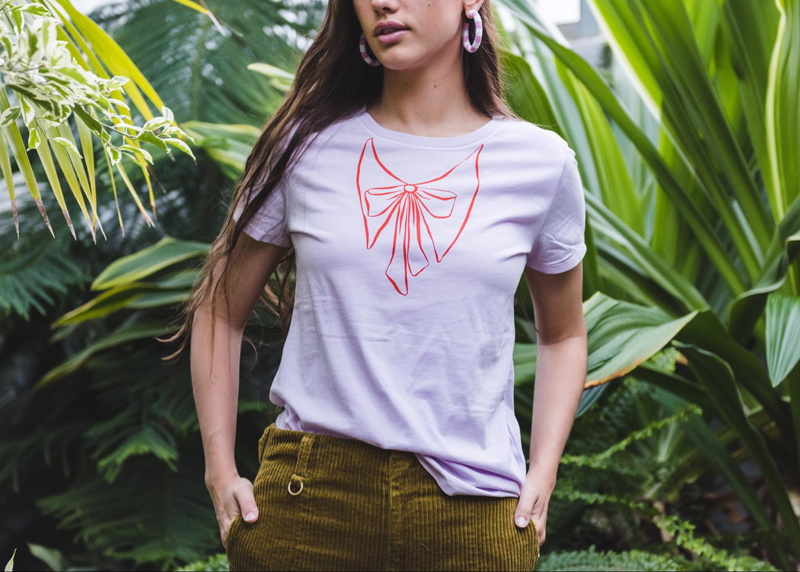 We love these shirt designs because the art is so beautiful and it dresses up any shirt! With our Everyday Iron on with StrongBond ™ Guarantee, you can wear these beautiful designs time and time again! They dress up a pair of jeans and are perfect designs for a shower, brunch with friends or a date with your special someone! Take a look at all the designs and let us know which one is your favorite! Who needs accessories when you have this darling shirt that does that job? This is the perfect design to tuck into a skirt and hit the town! If these two photos show us anything, it’s the versatility of this design! We absolutely love the cute pink detail and know this design is bound for compliments! This art dresses up any shirt so much, we can’t wait to make them for ourselves! They’re perfect for any season and any occasion. How adorable is this faux collar and bow? Since it’s a single layer, it’s so easy to make! It’s sure to be a success for every level of crafter. Check out our EasyPress 2 to make the project even easier! 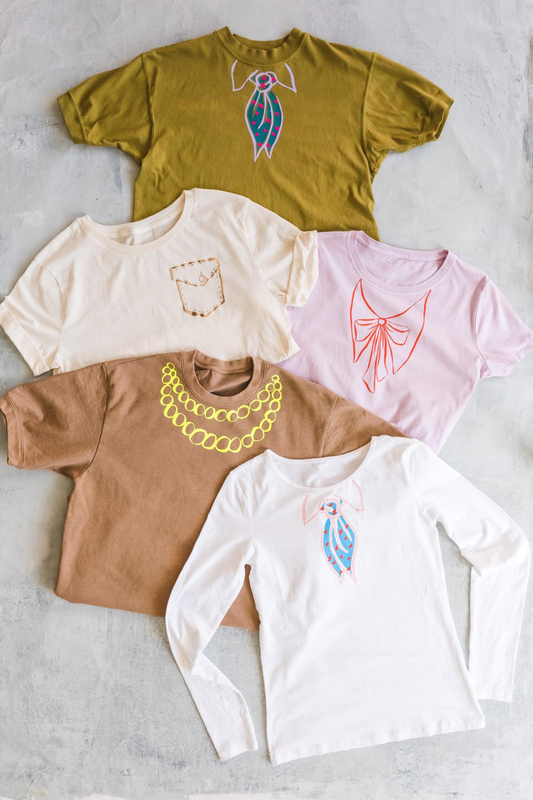 Because these designs would be darling on any shirt, we wanted to be sure to include our Cricut EasyPress™ Interactive Quick Reference Guide that helps make every project perfect! Like the look of a pocket but don't want to sew one on? 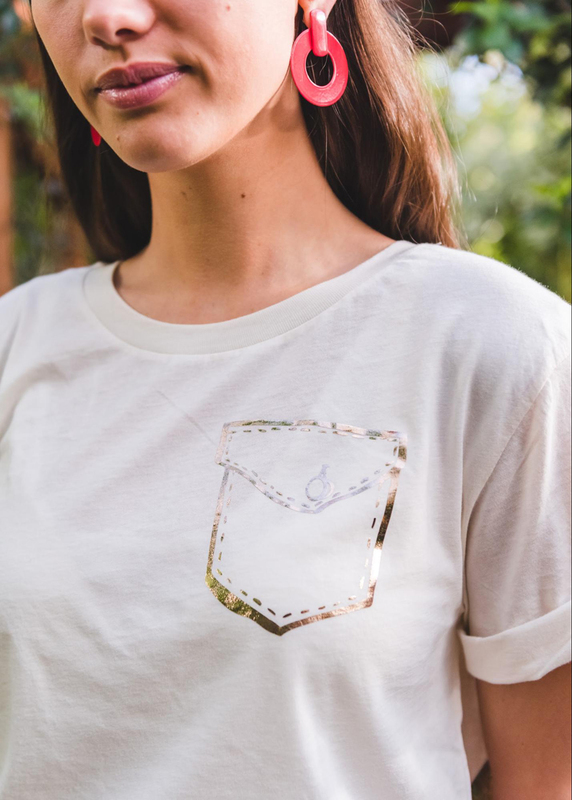 Simply add this fun pocket to your tee!